Within the framework of the project “Textiles for the Disabled,” students of the Fashion Industry Faculty, during 12 years have been designing and producing clothes for children with cerebral palsy, who lives in Kyiv’s Kindergarten N 591 for children with diseases of the musculoskeletal system. Special design and a reasonable choice of materials make it possible to create beautiful and comfortable clothes that make invisible features of physique caused by illness. Every year for the holiday "Believe in yourself", which is celebrated on the International Day of People with Disabilities, children from kindergarten receive various collections of clothes as a gift. 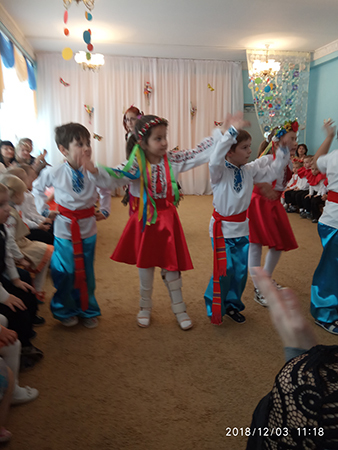 Children willingly perform in comfortable and beautiful Ukrainian national costumes (рhoto1), made by the students. 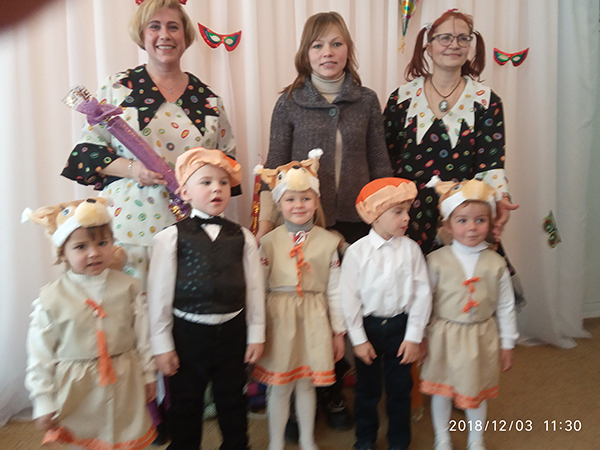 This year, the future specialists have pleased the children with the costumes of squirrels (photo 2), which decorated the holiday held on December 3.